When Amy graduated from high school, she was eager to continue her education and go to university. Always leading an active life, Amy was good at balancing school, spending time with her close-knit group of friends, and attending programs at the Movement Centre. But graduating from high school didn’t open any new doors for her – in fact, she lost her access to services that made it possible for her to pursue all the activities she enjoyed. Amy even lost access to medical services such as physiotherapy and occupational therapists as well as specialized equipment. This sudden loss of services and independence is a common story for individuals with physical disabilities in Manitoba. It looks different for everyone, but it always involves getting shut out of services that had been available before turning 18 or graduating from high school. For Amy, it meant that she lost the ability to go to school and has had to reduce her time with friends. These changes have shut Amy out of her social life and her dreams of attending university. They’ve had an impact on her family, too. Amy’s mother used to work when Amy was in school, but now she is her daily caregiver. Amy’s parents are aging and are worried about what will happen to her in the future. They are very worried about where Amy will live and who will care for her when they are no longer able to take care of her in their home. 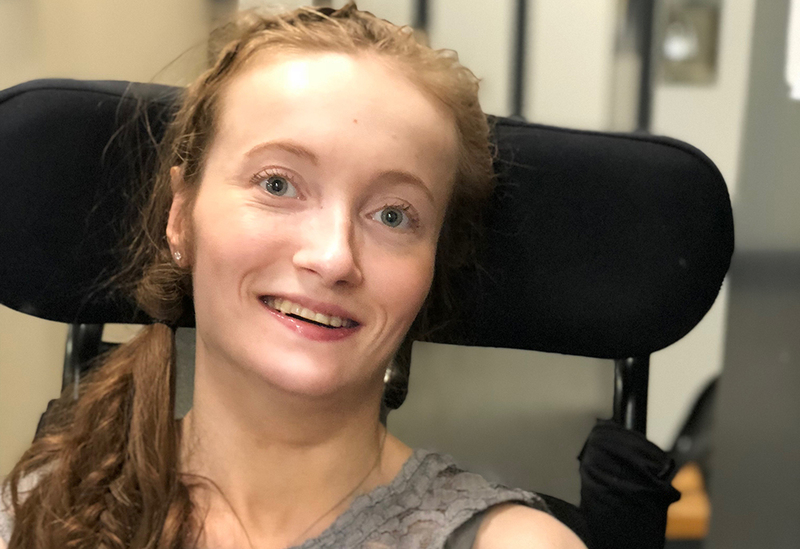 Amy and her family are fighting for continued access to the services and supports she used to have, so that she can go back to living her active lifestyle and pursuing her dreams. Locked out of Life is a joint initiative from the Cerebral Palsy Association of Manitoba and the Public Interest Law Centre, supported by the Cerebral Palsy Association of Manitoba.